Description Our friendly staff of tour guides will lead you through portions of our 7.5 million square foot facility via an electric tram. The tour begins in Stamping where you will see cars take shape from huge coils of rolled up steel. Then move to Body Weld where these stamped pieces are put together. Watch as a team of computer-controlled robots perform the welds that result in a completed body shell. Look up and see overhead conveyors transport the cars from Paint, to the Final Line in Assembly. Through the tour, your guide will point out the foundations of the world renowned Toyota Production System as well as give insight into the line side processes of the TMMK team members. The TMMK plant tour was nationally honored as the "Best in Class Public by the National Guest Relations Association. 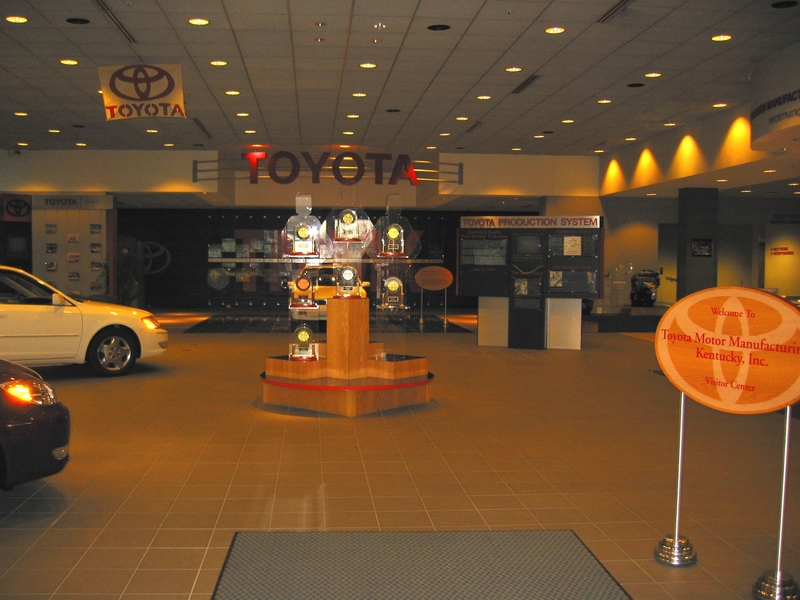 Add Toyota Motor Manufacturing, Kentucky, Inc to your free online travel itinerary.